Vitracore G2, a BCA compliant range of aluminium composite panels from Fairview, was specified for the $190-million redevelopment project at the HMAS Albatross defence base in Nowra. The redevelopment of HMAS Albatross – Australia’s largest operational Navy base – included significant upgrades to new and existing facilities, critical engineering services, as well as improved security, operational and training capabilities for the ADF. Vitracore G2 was specified for the Australian Defence Force Helicopter Aircrew Training System at the Nowra base with Troy Koch of ABS Facades executing the installation. Similar in appearance to traditional aluminium composite panels, Vitracore G2 comes with the added benefit of being fully compliant to current BCA guidelines including AS1530.1 (non-combustible). Architects specifying Vitracore G2 aluminium composite panels can have peace of mind without having to sacrifice building design or preferred colour scheme. While Vitracore G2 has been widely installed in many aged care, education and health projects, its use on critical infrastructure and defence developments is lesser known. 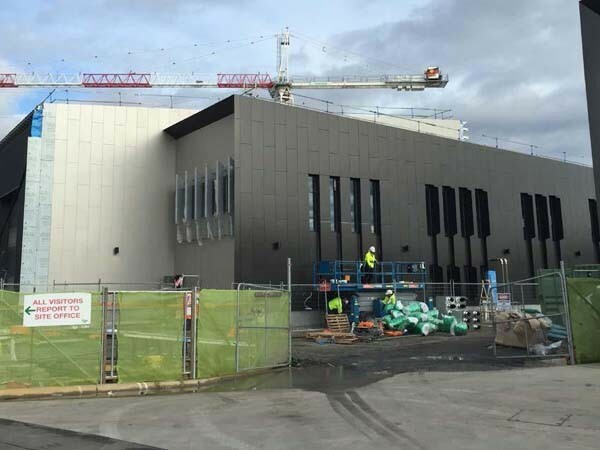 Fairview supplied Vitracore G2 DTS non-combustible aluminium panels to the project to ensure compliance with new BCA guidelines for defence and infrastructure developments. About 8,700 square metres of Vitracore G2 in Dark Grey Metallic, Poppy Red and Satin Black Metallic colours were supplied and installed at the HMAS Albatross project. According to Troy Koch of ABS Facades, Vitracore G2 is deemed-to-satisfy non-combustible. Additionally, being a lot lighter than traditional ACP, it simplifies installation on-site.